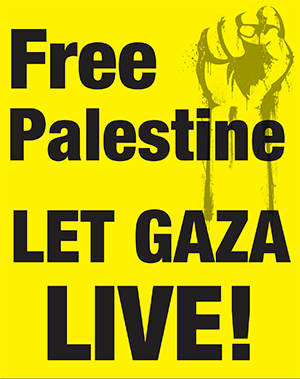 Can you help us print thousands of signs for the Aug. 2 National March to Let Gaza Live? We are about to place an order for thousands of "Let Gaza Live" signs to be carried throughout the National March on Washington. It costs $800 for every 1,000 signs, plus an additional $620 for poles. Can you help? We have also just reserved more buses in several cities to meet the demand of all of those who want to come. A bus costs $2200 from NYC, $3100 from Boston, and $1600 from Philadelphia. Can you help? Volunteers are working day and night to promote the Aug. 2 March, so that we can bring many thousands of people to surround the White House in a powerful display of unity with the Palestinian people. Posters are going up all over the East Coast, Midwest and South. Buses are selling out as more and more people are committing to attend the march. We are now reserving a large stage and sound system to accomodate the thousands we expect. This costs $6,000. 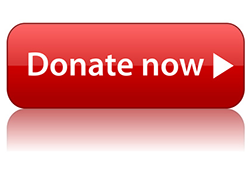 Every donation helps push forward this urgent work. That is how this movement is being built — with all of us contributing what we can.